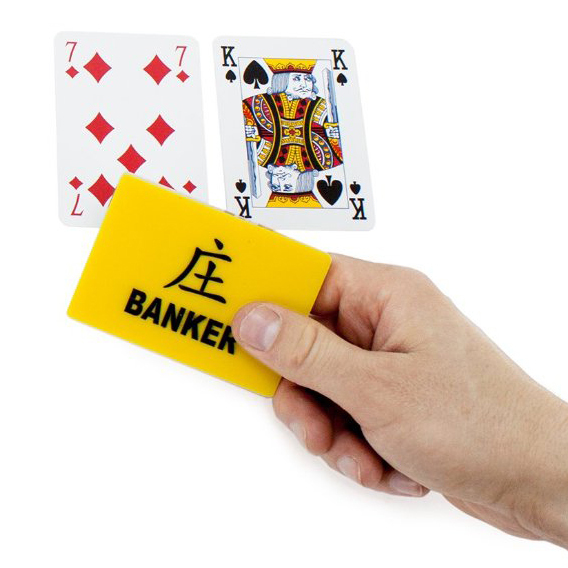 * Bring the casino feel to your home game with this deluxe Baccarat banker plaque. Each plaque is double-sided, heavy, durable and engraved with easy-to-read letters. 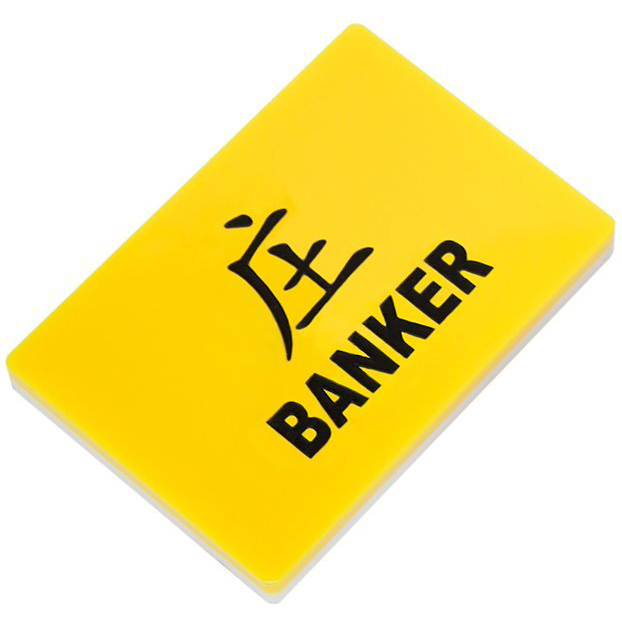 * These plaques are great for club or home use. Ideal for traveling games, these items also make great gift ideas. 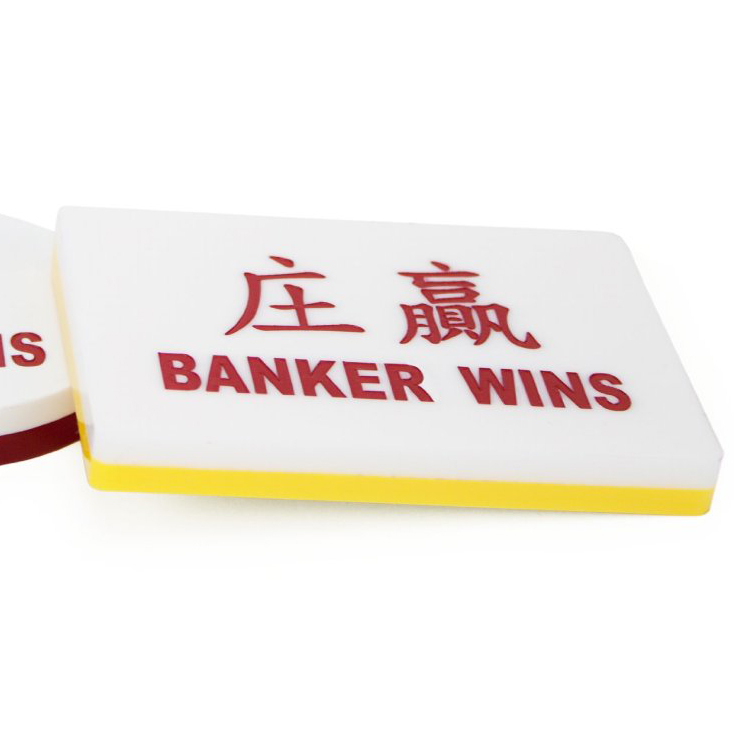 Give your game a touch of class with this banker Baccarat plaque! 3.5" x 2.5" x 0.35"